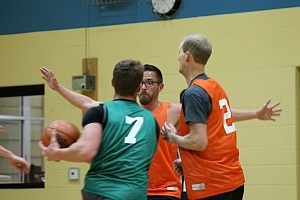 Co-ed basketball moves to the weekend starting in January 2019. 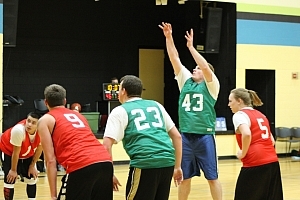 Leagues typically have a capacity of nine teams and generally sell out in advance of any posted registration deadlines. Do not wait until the last minute to register if you want to play. 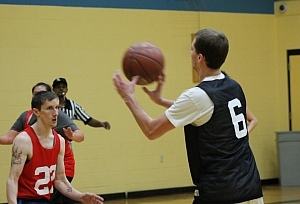 Men: We typically are not able to place many males who register as Individuals in the co-ed league because most teams are not looking for additional males. Being placed as an Individual in one of our men's leagues is much easier since we can normally form a "Free Agent" team. Ladies: If you want to be placed on a team, it's best to sign up on your own and NOT request to be placed with a male, as there is a much smaller chance a team will pick you up if you want to play with a guy. Please note that you will not be contacted unless we are able to get you on a team.